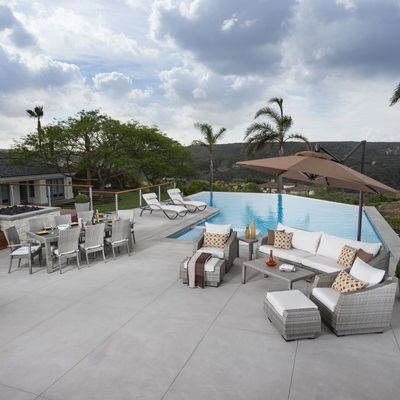 RST Brands created the Cannes outdoor sofa and coffee table for comfort for you and your guests. All RST Brands outdoor products are designed to last for years without sacrificing a moment's worth of tranquility. 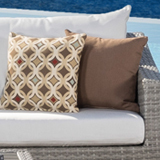 Use this to add to an existing outdoor seating set, or as a standalone piece for smaller spaces. 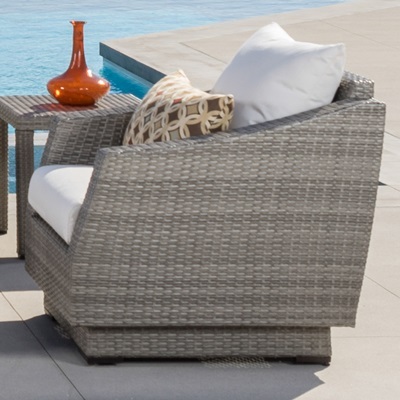 Beautiful, grey, hand woven, polyethylene, wicker incorporated in the Cannes Collection, gives your outdoor living space style and class and a source of pride for years to come. Set includes two sofa ends with four coordinated accent pillows. Sofa comes fully assembled, with minor cushion cover connection required.